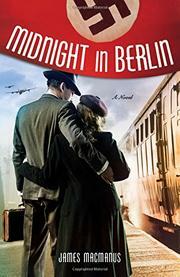 In 1938, British army Col. Noel Macrae, a decorated World War I veteran, takes on an assignment as military attaché to the Berlin embassy. As Hitler annexes Austria and then gobbles up Czechoslovakia, Macrae travels the embassy cocktail circuit, picking up bits from the shadows where double agents lurk. From one well-placed source, an old-family Prussian officer, Macrae learns the German High Command opposes Hitler’s reckless expansionism. There are rumblings that a coup d'état could depose Hitler if France and England stand firm. Macrae believes the information accurate and argues that mad Hitler must see "the mailed fist." That makes him an outlier among British diplomats and politicians supporting appeasement, especially the ambassador, Sir Nevile Henderson, an avid supporter of Chamberlain’s policies. There’s a second, equally powerful, plotline. The beautiful young Sara Sternsheins, who curses herself as "a Jewish whore in a Nazi bordello," has prostituted herself to keep her jailed twin brother from execution. She’s become the particular target of abuse by SS leader Reinhard Heydrich, a man of "pure and unadulterated" evil, "as cold as a mountain stream." With his own marriage imploding, it’s no surprise Macrae turns to Sara. Taking in the Brandenburg Gate, classy apartments along the Wilhelmstrasse, and covert strolls through the Tiergarten, MacManus (Sleep in Peace Tonight, 2014, etc.) sets the "dark soul" of Nazi Berlin as his backdrop, using historical characters like the brilliant historian William Shirer and the flamboyant Hermann Göring to strengthen his fictional cast—Macrae, Sara, and the brilliant secret service agent Roger Halliday, a "shambolic wreck" whose vulgarity hides a cool, cutting intellect. It’s worth noting, too, that MacManus gives ample space to dissecting how underlying European anti-Semitism left the Jewish question to be answered in concentration camps. Detailed yet quick-moving, MacManus’ tense, morally charged narrative ends with a possible sequel in sight.